Grow, breed, and collect colourful Koi on the way to peaceful transcendence in the stylish new experience from LandShark Games Zen Koi. With soothing gameplay and a meditative soundtrack by System Sovereign and SFX by IMBA, Zen Koi is a unique blend of languid action and strategic collection. 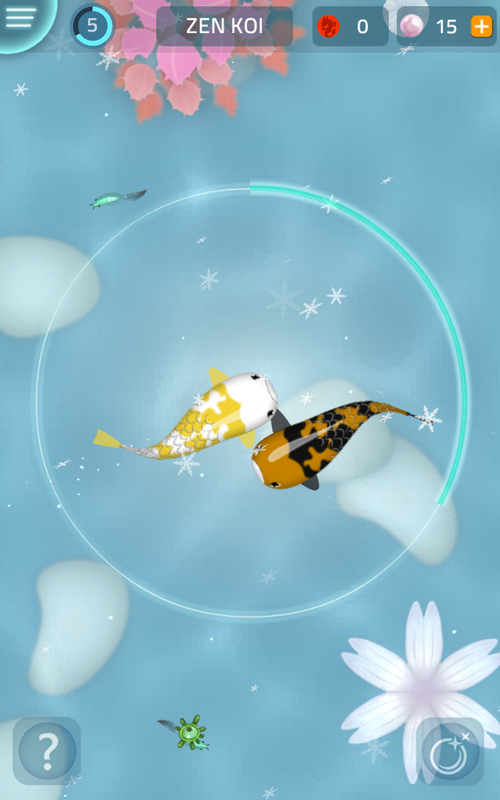 Level your Koi by chasing and consuming a wide variety of animated little fish. Find other Koi and breed to create rare patterned offspring. Progress along a mythological path of expansion, guiding your Koi toward its final ascension into dragon form. 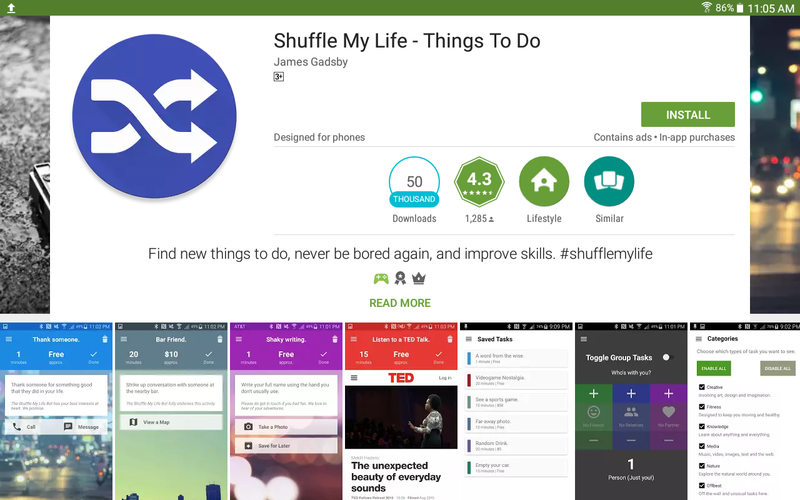 The app tries to transform your life with random tasks and the more task you complete the more interesting your life become (as it says) but in a way it’s right. If you want to break away from monotonous life need a change it has a task for you. The tasks are simple and it creates the diversion for your mind. 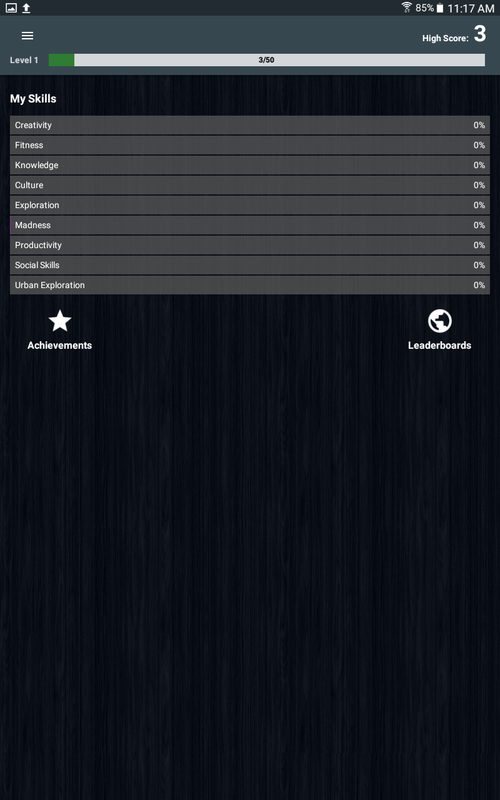 You can choose the task by time,money and category. The first task for me was to close my eyes and navigate from one side of my home to another and I had three minutes to complete it,then there was to see a movie with which starts from E,they had a link to imdb site were you can choose the movie. The tasks are simple in beginning and gets more interesting later on. The idea is good as we do get bored lot of times and then you can switch this on and let your mind to rest. Very easy and very simple but very effective. Try it you won’t regret. 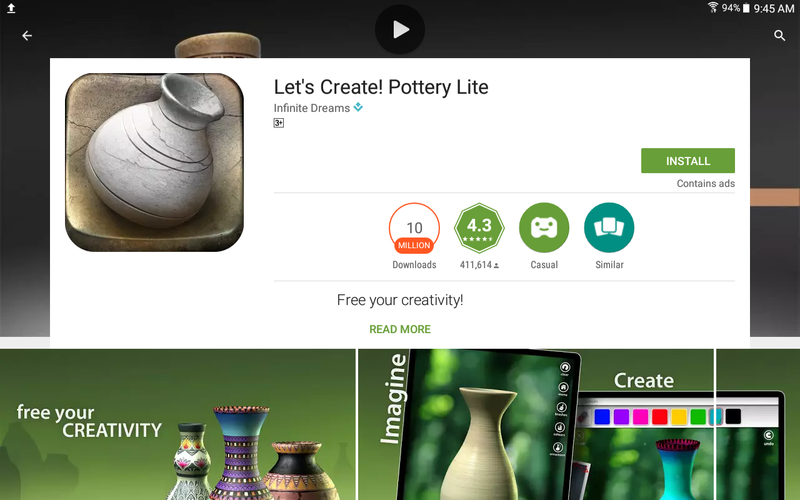 ​”Throw the clay on the wheel, release all your artistic talents and take benefit of dozens of materials available in order to create your own design” says the app and it truly does. You will get addicted to its therapy in no time. The making of pots will require a certain amount of skill which will calm your mind as you concentrate. The app is easy to use to use but the skill will develop slowly. 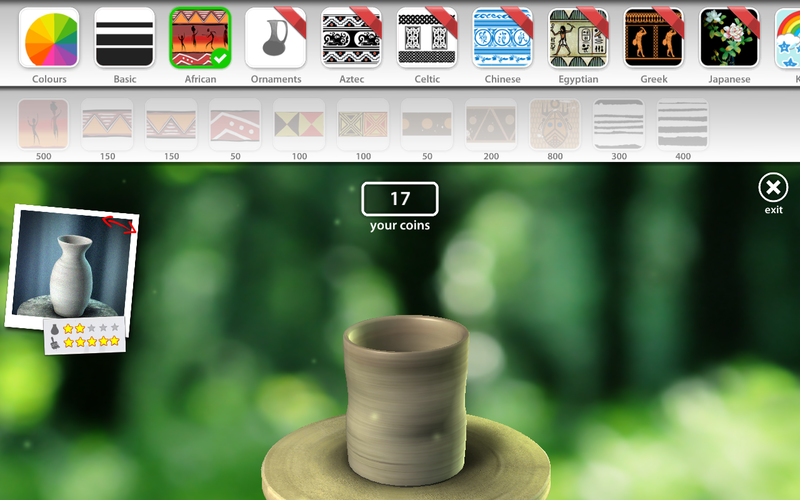 As you make and sell pots you earn points which unlocks different colors and design. When you become skilled you need to pay of the developer to build some real masterpiece. I guess that will take time and by that time you will know yourself if this hobby is meant for you and you want to spend money for it or not. I would suggest you to certainly makeep and fire couple of pots,it’s really fun.